Can we counter the stereotypes now?! Nina Davuluri is a house hold name now. 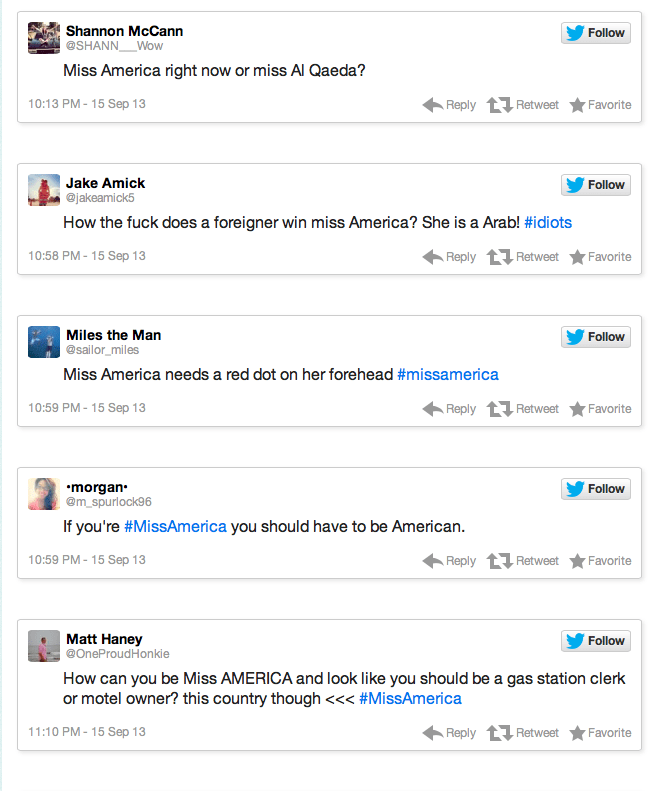 More than her Miss America 2014 title it’s the twitter which made her victory more special. She is the first Indian to be crowned Miss America. Nina tasted the victory just after September 11th which in the history of America , is a sad day. To that matter it is a sad day for all of us. Few ignorant folks imagined that she is an Arab , a terrorist or a member of Al-Qaeeda and got offended by her victory in the beauty pageant . The hate tweets followed like below. How ever Nina didn’t flinch. She says that she’s grown up with so many stereotypes about her culture that she just knew that it was something that she needed to advocate for. Even if she was slammed by tweeple it didn’t effect her much. Few nincompoops can’t take her title away. She sure made us all proud but the fact which I felt funny is few Indians raising their voices against the ignorant Americans. The same Indians who always stereotype others by what they wear , what they eat or how they look. We get united when we have to fight the foreigners but in our own country we have many stereotypical images strongly imprinted in our brains. Every one who hails from North East is a chinki. If you are from Saawth you have to be dusky / black with a flat nose coz Dravidians were believed to be short , stout , dark with flat nose where as Aryans who are descendants of the Northies are supposed to be tall , fair and beautiful. 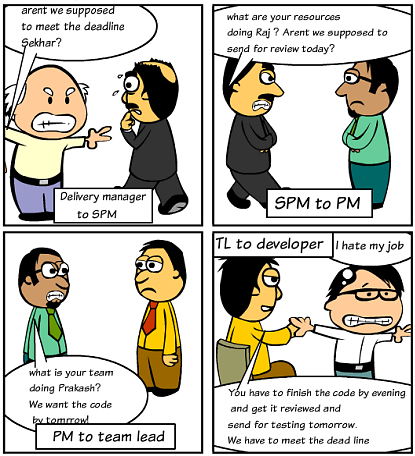 I myself have faced this question in college , office , in the neighborhood and every where. Are you a Punjabi? Are you from North ? The only reason is I am fair/ white. When I say that I am from Andhra Pradesh people stare at me due to two reasons. One is my complexion and the other is my fluent Telugu. I am a Muslim and it is a norm to not understand Telugu and speak a broken language as per few ignorant souls who surround me! I am “used to” these kind of questions. If you are from Saawth you are a Madrasi. If you are from North you are mostly a Punjabi. It doesn’t matter if you are from Mumbai , Bhubhaneswar or Goa. They all come under North in the customized maps hanging on the hazy walls of many fellow Indians. Their visions are blurred by their ignorance which is a pain in others asses! A country where fair is considered as beautiful and dark is considered beautiful only when it is a mole that shines on the fair skin it is astounding to see the way every one supported Nina Davuluri. Had she not won the Miss America title she would have been pitied by fellow aunties and uncles that a little fair complexion would have helped her. I have a strong feeling that she would have faced such comments in her life. Nina Davuluri smashed all the stereotypes and won the title of Miss America 2014 which anyway will not change the attitude of many towards black / dark complexion and the practice of stereotyping a person by his appearance. 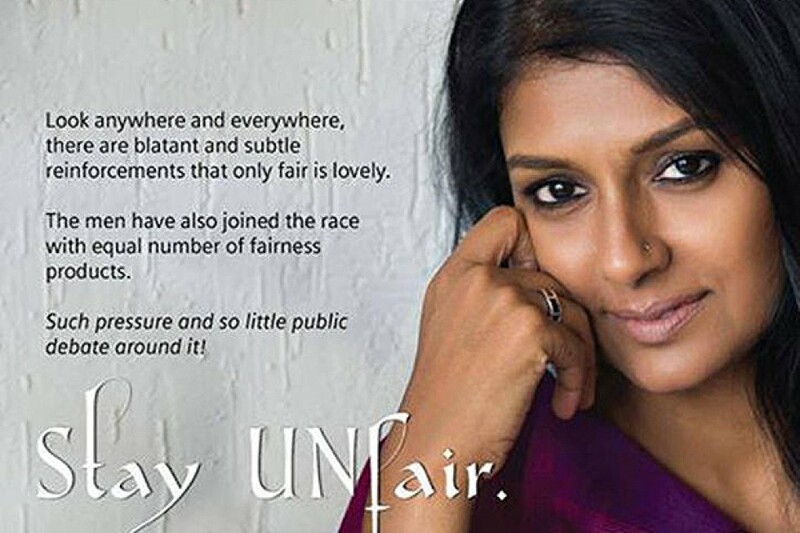 Nandita Das is running a “Dark is beautiful” campaign to imbibe sense in to people. We have to wait and see how much change this campaign will bring! From centuries the fairness cream ads are ruling the TV where a girl uses the cream , becomes fair in ten days and wins the Miss India title. The above campaign is also protesting against the un-fair ads. Remembering the legendary actor for his fascinating movies and his contribution to the Indian Cinema. RIP Dev saheb. You live in our hearts. I don’t miss my past because if you miss something it means you are static. 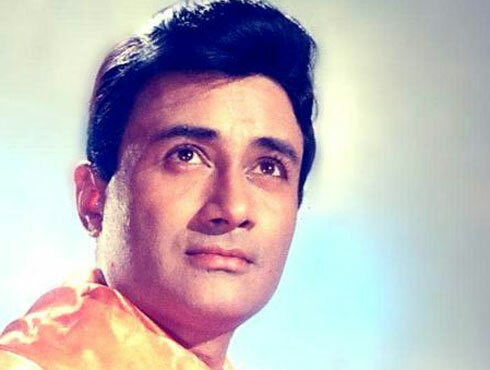 DevAnand is a man who was ultra stylish and who maintained style even at the age of 88 .Yesterday I was listening to his songs continuously on radio and they all were too dreamy , full of style and attitude which made me blog this today . Sep 26th is DevAnand’s Birthday! Cricket is our religion and Sachin is our God! Almost every Indian who has access to media and cricket would know the declaration by many die-hard fans that, “Cricket is their religion and Sachin is their God.” There is no denial here. The three things which always flourish in India are religion, Cricket and movies. Of course weddings can also be added to the list. Be it legendary players like Sunil Gavaskar, Kapil dev, Mahendra singh Dhoni , Rahul Dravid or the master blaster Sachin Tendulkar, people worship all of them. Even if hockey is our national game its cricket which strikes chord with the nation. People celebrate if the team wins and don’t mind using profanities and burning the effigies of their favourite players if the team loses. Our country is obsessed with their cricket stars and celebrities. The coca cola caption works for most of us in India which is – Eat Cricket, sleep cricket. Drink only Coca Cola. Not long back, when I was in high school I remember my dad pasting the newspaper cut out on the cupboard. At first I thought it must be something related to office. Later I realised it is the time table of the test match series of that season. I was surprised seeing how much my dad adored the game. The love for game was contagious at home. My mom who doesn’t know the C of the Cricket started learning the match. She understood what it means by no ball, run-out, clean bowled and many more things. We also understood what it means by body line bowling and match fixing. Our hearts always race when India plays with Pakistan. I still remember the news program where Kapil Dev shed tears like a baby when he was accused of match fixing. Anything related to cricket is hot shot news and sells not for days or months but for years and centuries including Sreesanth’s controversies ! Bill gates said “We are changing the world with technology.” Douglas Carl Engelbart an American inventor, and an early computer and internet pioneer quoted that , “In 20 or 30 years, you’ll be able to hold in your hand as much computing knowledge as exists now in the whole city, or even the whole world“. Keeping aside the rapid progress in knowledge and the way digital revolution made life easy, if we discuss how it impacted the childhood and adolescent life it most of the times doesn’t seem very positive. In 70s and 80s researchers termed the modernisation caused by TV in Germany as “Television Childhood” and “Loss of childhood.” Parents are always insecure and fear that television may affect their kid’s personality development. Not that Television hasn’t been educational but it is famously phrased as “Idiot box” the way it influenced everyone’s life. Even cartoons are provocative at times. Instead of playing in the ground nearby kids started watching TV a lot and there are extreme scenarios which came in news long back where a boy had put his younger brother in washing machine to make him white/fair. Kids believe everything and hence false news can be a bad impact on them. There’s a kid in our neighbourhood who disobeys his mom and beats the maid as he wants to imitate Shinchan, a cartoon character. The cartoon is hilarious but the after effects are far beyond our imagination. The actual digital revolution occurred in late 90s with the advent of computers, mobile phones, Dig-cams, CD players and Internet. This is called second wave of modernisation. The generation Y kids and teens grew up with a mouse in one hand and mobile phone in the other. It is extremely tough to write about that one place which I would love to visit with my family or friends. There are many places through out the world and in India which I want to visit provided I have enough money in my bank account. From London to Paris to Egypt to the U.S.A. I want to roam around the world if not in 80 days , at least in 800 days. Before roaming around the world I would love to cover the beautiful places from my own country – INDIA. As they say India is incredible. The cultures , colors , festivals and anything about India never ceases to fascinate me. I would love to do some job in travelling and travel around the country but alas! I am stuck with many other things and hence can’t even think of it. The two places which come to my mind right now are Kerala – God’s own country and Kashmir- the paradise on earth. Being in the company of nature gives solace and you don’t even need any company when you are in the God’s company! Kerala is on my hit list from long. Probably we will be going by the end of this year and I am damn excited about it. KERALA . The very name soars my spirits. The lush greenery , boat houses , the coconut trees and serenity surrounding you where ever you go is for sure heavenly. If I plan a trip it will be with my hubby. One of the most exhilarating experiences in Kerala is staying in a house boat. It’s a dream I have from long. The back waters of Alappuzha and Allepey are famous. Riding on boat with hot fish curry being served and a beer to chill is heavenly. You can even spend the night in the mid of the water surrounded by palm trees. The thought it self is exciting. I have seen many of my friends’ pictures from Kerala and it sure became one of the top 5 places I want to visit as soon as possible. There is a movie in tamil and telugu where they show the picturesque Kerala which just sets the ambiance to be in a romantic mood 🙂 The heroine (Samantha) belongs to Allepey and the hero (Nagachaitanya) goes to visit her. More than the songs and the music it is Kerala which makes the movie more romantic. Next place which comes to my mind is Munnar which is a beautiful hillstation in westernghats. 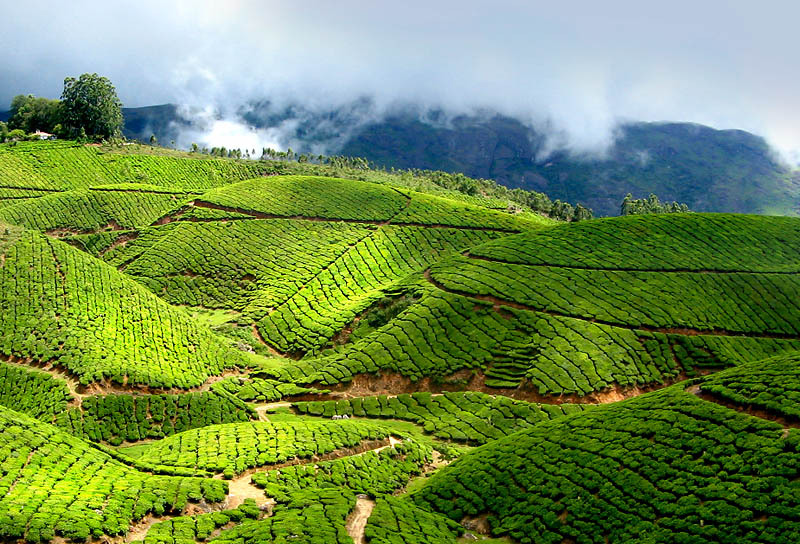 To see the plantations , to enjoy the natural beauty of foggy hills and wildlife I want to visit Munnar. There is always some thing mysterious about the hills and those beautiful hamlets. You can just get lost and have a conversation with your self sitting in midst of the hills and hamlets. One more attraction of Munnar are the beautiful home-stays which no one wants to give a miss. I would love to just rest in nature’s lap. I am sure I will fall in love with the place. As I never dared to do paragliding till now, I would love to try either rock climbing or paragliding with my husband’s encouragement of course. The last time I tried paragliding in Solang valley- Manali I was not successful . I climbed till some point and got back down as I couldn’t muster enough courage! Wayanad is another scenic spot in Kerala. It is called the “Land of Paddy fields” . The lofty peaks and the fields make the place look straight out of a wall poster. I would love to go trekking here to Chembra peak. Banasura peak and Brahmagiri are other important mountains of this district. The wild life sanctuaries and waterfalls here and there are the special attractions of this place. 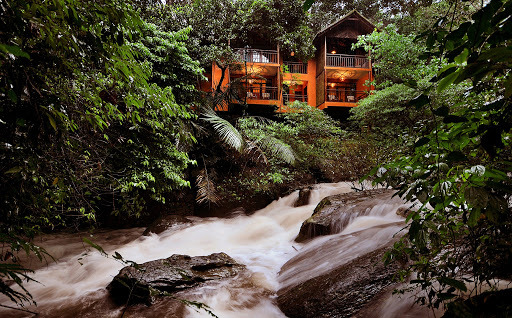 I remember reading about “Vythri resort” in Wayanad and since then I am just dreaming about staying there! Varkala beach or the Papanasam beach is located to the north of Tiruvananthapuram. Its a calm, sparkling beach which is believed to have medicinal properties. A dip in holy water is believed to purge the body impurities.There is a two thousand year old shrine the Janardhanaswamy temple on the cliff over looking the beach. One can climb down the steps to reach the beach. A paved foot path runs along the cliff and the view is breath taking. Varkala for sure is one of the best beaches of India. Like the mountains and cliffs beaches are also endless and mysterious. The shacks and the quaint beach houses make the place more scenic. I would love to watch the temple festival which happens around April. I am sure I will have a grand time with my better half in a scenic place like Kerala by staying in the Boat houses in the back waters of Allepey , visiting various churches, temples, bird sanctuaries (Salim Ali Bird Sanctuary) , Periyar National Park and by enjoying the traditions and cuisines of the place!! India is a mysterious land and I always love exploring the various cultures of our country. The fact that one travels in a Car with Haryana license plate talking Bengali and listening to Kolaveri di always amuses me keeping aside the fact that we have regional or any other kind of conflicts. Travelling surely detoxifies us. Kashmir is also on my hit list and I am sure I will go there atleast once in my life time. 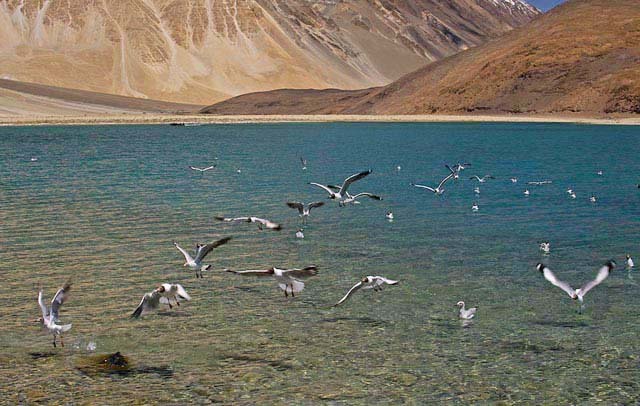 Travelling to Ladakh and getting clicked at Pangong lake is in my wish list. I want to watch the snow caps and ice glaciers and experience the himalayas to the fullest. I am glad to say that I went to Manali and Rohtang Pass and touched Himalayas for the first time in my life some where around july in the last year. That sure was one of the happiest days of my life. 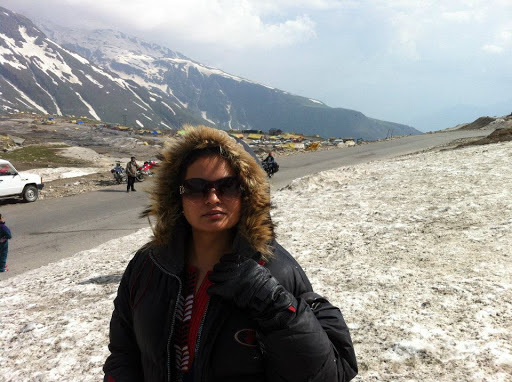 Below is a snap taken at Rohtang Pass. I want to end this post with an incredible video showing incredible India! Few stanza’s from a poem I wrote for the mother nature during one of my journeys. The colour of the sky and water is pure white and at times deep blue. Gazing at them makes you feel godly and true! Where do these vast creations start and end, we have no clue. The sky and sea merge at some point blending the hue! The withered leaves of a tree are so brittle and brown. They no longer breathe life, they always fall down. Indicating the past should be forgotten saving a frown. A new memory and a new journey helps rather than a mourn! God’s nature has different hidden lessons to learn. To just sit and watch it is a great treasure one can earn! The things which will always be with you are stars, sky, sea moon and the sun! This post is written for Indiblogger’s Creating Happy Traveller’s Contest sponsored by Yatra.com. “This palace is so stunning.” Jodha said in a low voice. “Maham Anga ji wants to meet you Mallika,” another maid came hurriedly to inform Jodha. Jodha bent her head down so as to show respect to Maham Anga who is the foster mother of Akbar. “Namaste Maham Anga ji,” Jodha greeted Maham Anga. “Namaste! What kind of greeting is it? When you are in this palace you have to follow the ways here! You got to greet every one with salaam!” said Maham Anga in an authoritative tone. All the maids bent their heads down as they feared the glare of Maham Anga. All of a sudden there was a pin drop silence. Only distance cooing of a koel could be heard. Jodha mustered the courage and replied to Maham Anga. Maham Anga was furious. No one has the guts to confront her in the whole palace including Akbar. “How dare you question me ? No one ever questions elders here. Is that what you are taught at your place?” fumed Maham Anga. Jodha was shell shocked by her furious response. She tried to explain that she was just letting her know that Namaste is also a greeting but by the time Jodha spoke Maham Anga walked out of the room. “The first day at palace did not go well at all,” thought Jodha. She wanted to discuss this with Akbar but thought otherwise. How can she go to the emperor and ask him to resolve her petty problems? The next day Jodha got up early , offered her prayers to Lord Krishna and went to the royal kitchen to plan something different that day. The cooks were surprised to see Jodha in the kitchen. “Today I want you all to cook whatever Maham Anga likes.” Jodha ordered the cooks. All the cooks exchanged glances on hearing the weird request. Jodha repeated what she said and no questions were asked and the menu was ready in no time. Kaddu ka Kheer and Sevayya were among them which Maham Anga relished a lot. Jodha poured the hot Kaddu ka Kheer in a bowl and took it to Maham Anga’s room. Maham Anga was stunned to see her. “Why did you come here? ” She questioned. “Namaste. I mean Salaam-a-lekum Maham Anga ji. I thought I would come and greet you as we did not exchange pleasantries properly yesterday.” replied Jodha. “Please have this kheer as a token of my respect. I ordered it in the kitchen specially for you. Having a sweet dish on a happy occasion is a ritual anywhere I guess!” continued Jodha. Maham Anga first hesitated but later took the bowl from Jodha’s hands. She tasted a spoonful of kheer and was impressed. “But how did you know that I like kheer?” asked Maham Anga who was clearly puzzled. “I came to live here Maham Anga ji. I believe in showing respect and love by my gestures rather than by mere words. I would be happy to see that every one is happy here due to me.” replied Jodha. Maham Anga was perplexed by Jodha’s words. She was surprised by her wisdom even if Jodha is just half her age. Maham Anga muttered a thanks and Jodha left the room only after bending and acknowledging her thanks. This is purely a piece of fiction written by tweaking a scene from “Jodha Akbar” movie 🙂 The message of the story is that the language used to greet people is not important. What is more important is the feeling and the gesture. When the feelings can be understood no language is an obstacle to greet each other !